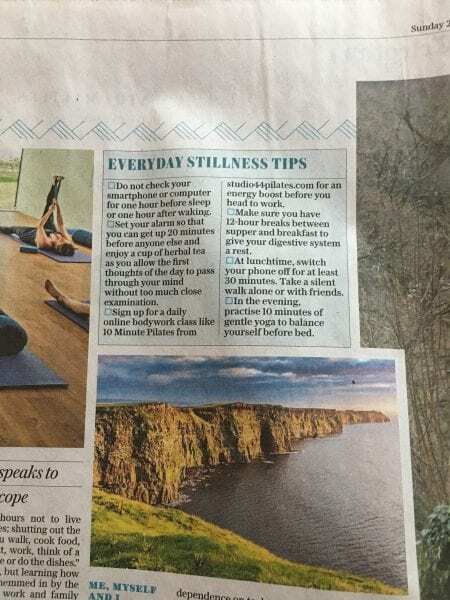 Excellent article in The Sunday Telegraph re taking time out for yourself and finding calmness. In this busy world we live in time for us is usually the last thing we think of. Studio 44 Pilates gets a great mention as an Everyday Stillness Tip, taking a daily 10 minute Pilates workout for a great energy boost in the morning. So why not try it for yourself and start taking some time out for you. Come and try out 10 minute Pilates in the comfort of your home.